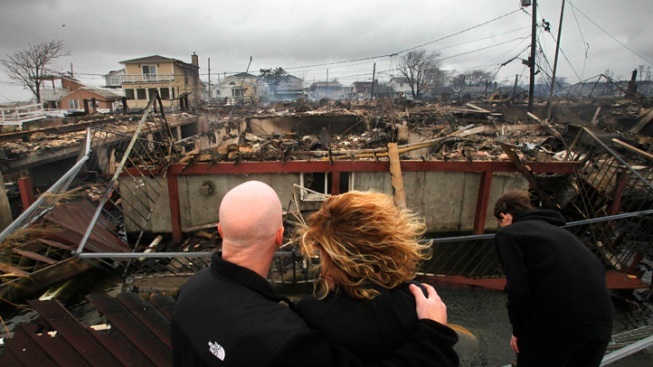 Officials have determined what started the massive fires in Breezy Point, Queens the night Sandy blew through the area. City Fire Marshals say that rising sea water came in contact with electrical wires at a home on Ocean Avenue, sparking a fire that eventually led to the destruction of a 126 homes in the Rockaway community. A report concludes that the flames burned for hours because flooding kept fire crews from getting to the homes earlier. Some 21 fires destroyed more than 200 homes and businesses across the city that night.